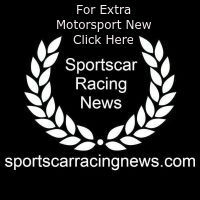 The final rehearsal for the season highlight at the Nürburgring Nordschleife, the ADAC 24-hour race, was extremely successful for the team located in Spa-Francorchamps / Belgium. 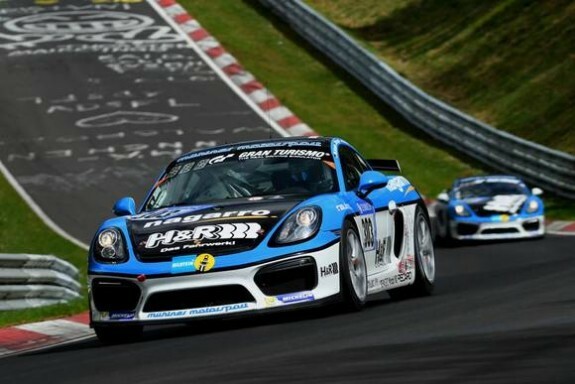 In the ADAC 6-hour qualifying race, a double victory of the two Porsche Cayman GT4s sponsored by H&R Spezialfedern from Lennestadt / Germany could be celebrated. Mühlner Motorsport took advantage of the ADAC 6-hour qualifying race at the Nürburgring Nordschleife to prepare for the 24-hour race in just under four weeks. One of the two Porsche Cayman GT4s entered in the Cup3 / Trophy class was driven by Moritz Kranz, Timo Mölig and the newcomer to the Mühlner team, Tobias Müller, and the other Cayman by again Kranz, the Mühlner regular pilot Marcel Hoppe and father Jürgen and son Sebastian von Gartzen. Started from first and second place, #302 and #303 achieved after six hours not only a double victory in the class, but also excellent rankings in the overall classification. “The weekend was very successful and our two Cayman GT4s ran smoothly, with Tobias Müller and father & son von Gartzen joining in harmoniously and delivering a flawless job. Michael Rebhan will join us for the 24-hour race. Unfortunately he could not participate in the 6h race due to business commitments, but he did already the first two VLN races and so we feel well prepared for the 24-hour race and are now hoping for the necessary luck at the season’s highlight “, analyzes Bernhard Mühlner after the ADAC 6 hour race.